When a title shot isn’t a title shot… is a title shot. A week can be a long time in boxing. Enough time to get a title shot, lose a title shot and then get another one. 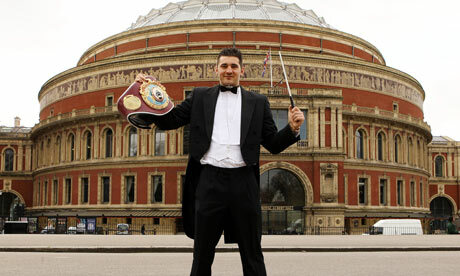 Nathan Cleverly is one of the UK’s two World Champions, a young fighter with a world of potential within his lean frame. With much hullabaloo his next defence of the WBO World Title he lays claim to was announced. He would defend his belt at the Royal Albert Hall, a place most recently known for concertos over concussions but once upon a time somewhat of a Mecca for British boxing, the place where Lennox Lewis developed and where Mike McCallum fought for world titles against the likes of Herol Graham and Michael Watson. For the first time in a decade world championship boxing would return to those hallowed halls. Announcements were made, press releases issued, publicity photos taken.